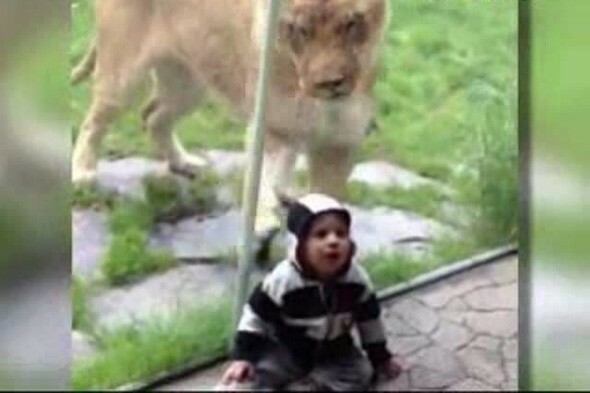 And four-year-old Kya the lioness certainly took the bait when a little boy called Jack arrived on her territory at Oregon Zoo doing just that. While Kya pawed at the glass and got herself into a frenzy - even at one point opening her jaws and trying to chomp on Jack's head - the little boy took it all in his stride and appeared completely unfazed. His parents also saw the funny side, and can be heard telling their son to say "Hi kitty, kitty" in the background.